It is no secret that berries are rich in nutritional contents. They taste good and are very versatile. They can be eaten raw, eaten with salad, cook into jam and baked goods, or made into various beverages. There are almost infinity types of edible berries. Thus, to taste the new and exotic ones is a good experience. Many of them are categorized into super foods, taste unique, or even have pretty but strange appearance. Here are our favourite berries, curated only for our thoughtful readers. Lingonberries are fruits of an evergreen shrub grow in Northern Hemisphere. These berries are very popular in Scandinavia food. Scandinavian will easily find and collect them as they are wild fruits in plentiful quantities. The textures are very juicy and the sizes are quite small, even smaller than cranberry. The berries taste quite acidic. For that reason, people cook and sweeten them a bit before they eat them. The end products are jam, juice, compote, or syrup. With the high amount of pectin and natural preservatives, lingonberries are considered invaluable as they can easily be stored for months. Lingonberries jam is popular as a sauce for game steak and meatballs. Lingonberries water is also believed as good medicine against scurvy. Goji berries are native fruit of Asia, especially China. It is not very difficult to distinguish these berries from other berries as they have bright red-orange colour and ellipse shape. These seasonal berries are harvested from July to October. Goji berries are widely used in Chinese traditional food. Since these berries are sold in dried form, they are usually cooked first before eaten. Sometimes goji berries are added into chicken or pork Chinese soup served with vegetables and herbs. Goji berries are often added to porridge, dessert, and beverage as well. As they are known for the medicinal use, many people brew the dried fruits and drink them in the manner of they drink herbal tea. Although they are praised as traditional medicine, the benefits are still scientifically unconfirmed. 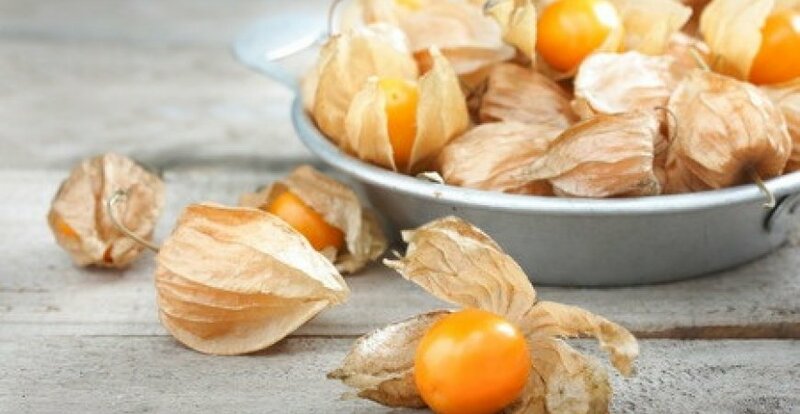 Cape gooseberries are also called physalis in the United Kingdom. In Indonesia, these fruits grow wild and called ciplukan. Although once ignored for wild plants they are, cape gooseberries recently treated as profitable crops. They grow their popularity because of the distinctive sweet and mildly tart taste. The shape resembles small round yellow tomato with protective covers around them. The juicy texture with 40-60 small seeds inside the fruits makes them perfect as a filling for tart and pie. Cape gooseberries jam is such a delish as well. Because of their unique and unusual appearance, cape gooseberries are also popular as garnish for various desserts. Hawthorn berries are fruits of Northern Hemisphere. These red fruits grow in shrubs or small trees. There are two big varieties, which are common hawthorn berries and Chinese hawthorn berries. They are almost the same in colour and size although the Chinese variety looks more like crabapples. Common hawthorn berries are sweet, but very dry. In the United Kingdom, they are used to make jelly or wine. However, Chinese hawthorn berries are sour. They are extensively processed into Chinese snacks and also jams, juice, alcoholic beverages, and jellies. Hawthorne berries are also acclaimed to have medicinal uses. Many people who believe it brew herbal tea made from dried Chinese hawthorn berries as a digestive aid.